What is there to know about mats? Not much, someone would say. They are just things that you put on the floor to make it look a bit better and to make it easier to clean. That kind of attitude should be a thing of the past because floor mats are irreplaceable items for your business that can benefit you in more ways than one. There are different types of mats and they have different types of benefits for your business. 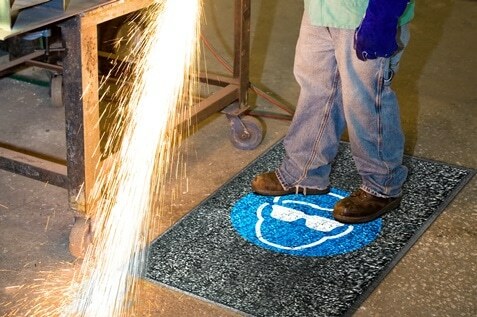 Floormats come in many shapes and sizes, but every business owner should pay attention to these amazing floormats. Check them out, and find the best way to incorporate them into your business venue. When your employees stand a lot, it starts to affect their joints, muscles, and overall posture. In cases of prolonged standing, aches and pains become increasingly intensive causing employees to take more days off to recuperate. Not to mention, this can cause people to develop some chronical pains that cannot be soothed that easily. This is where anti-fatigue mats come to the rescue. First, they let through all the liquids that are spilt on them. This means that the floors will always be safe to stand and work on. Secondly, they are designed so that workers who use them can stand for prolonged periods of time without consequences on their health. This means that they are more comfortable, rested, and eager to work. This equals more productivity and less absenteeism for your workplace. Of course, your floor mats will hardly earn you money if you are not on the mat selling business. But, the next best thing is saving money. That is precisely what these types of mats can do for you. One of the reasons businesses lose money is because of the employees’ declining productivity. There are many factors that affect an employee’s productivity. One of these is employees not feeling well, safe or comfortable in the workplace. These are precisely the cases where you can use safety and message mats to help you. Message mats can be used to mark directions at big venues so that people don’t end up wasting time roaming around because they’re lost. 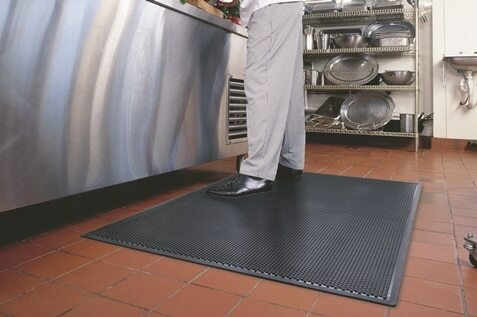 Safety mats can always make people safer because they can be used as reminders about different safety hazards. 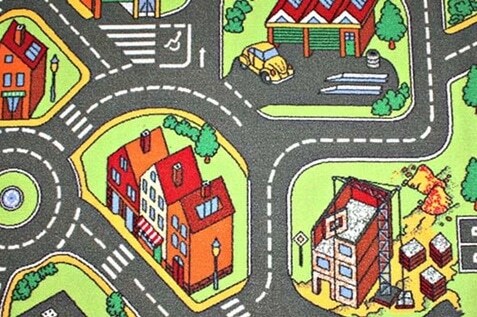 These mats serve a lot of purposes and you can tailor them to your needs. 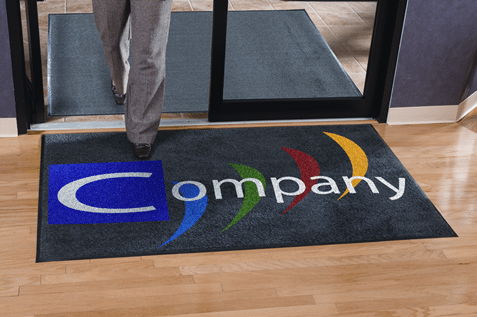 Either way, these floor mats can do wonders for your business. Entrance is usually the place in the company where the traffic is the highest. That is why that is usually the dirtiest place, as people bring a lot of mud, dust and dirt in on their shoes. With those things, different germs and bacteria also find their way inside. More germs and bacteria means more illnesses. More illnesses mean more sick days. More sick days means less work and decreased productivity. But, if you use high traffic mats, this can change. 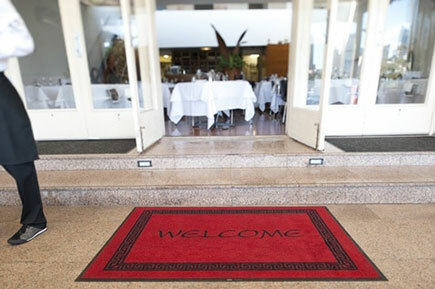 These special types of mats are designed in a way that prevents the dust and dirt to spread. They absorb it and stop it right there. This means a significant decrease of infections, cases of flu and sick days. Moreover, a well designed and positioned high-traffic mat will ensure an excellent first impression of the people that enter your venue. First impression is of essential value for the success of your company – nobody needs to remind you of that. Advertising is everything. Marketing is one of the most powerful tools today. You, as a business owner, are the first to know all about it. That is why you should not miss out on the opportunity to use these corporate logo mats to keep reminding your customers about your brand. Your logo on the most critical places around your business venue can make all the difference. It can help build your brand which means better and more professional first impression. This, of course, translates to better business opportunities as people will take you more seriously. One of the biggest worries of your employees who are also parents, are their kids. Having a good day care at your company is a dream come true for most employees. This can attract a lot of amazing talent to your company and ensure loyalty. Also, your coworkers will be more focused on work if they know their kids are safe and near. The first thing that makes the difference between just another office and a day care is the floor mat. Use childcare mats for that purpose and build your way up to a proper daycare. Your employees will be more productive, more focused, and that that directly means – better business results. Never miss out on the opportunity to advertise your company, even if that means that you will advertise it inside your building. The floor is a huge surface that people neglect when it comes to business and that is a rookie mistake. Just because people don’t spend that much time staring at their own shoes, it does mean that they don’t see the floor with their peripheral vision. When they do, make sure that they see your advertisement on a high-quality and very comfortable advertising mat. While purchasing new mats sounds like a big investment, there is an easy way out of this situation – don’t purchase them! Call Alsco at +65 64550150 and rent all the mats you need at a great monthly fee. Yes! That means that you can reap the benefits of having awesome new mats without investing a lot of profit in it. Once you break down the costs, you will see that excellent floor mats pay for themselves. What you spend for renting the mats is a pocket change when compared to the things they bring to the table – or floor, in this case. 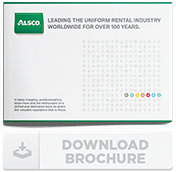 Contact Alsco today and let our representatives explain everything in great detail.